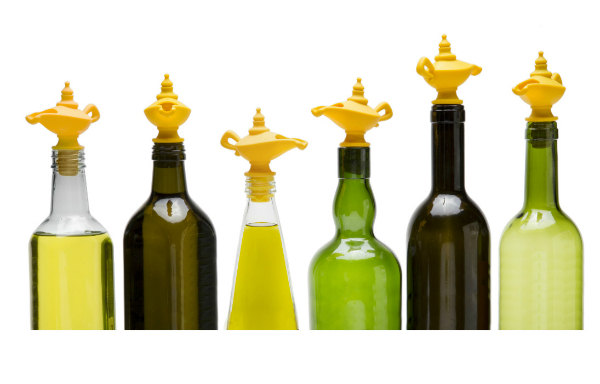 Oiladdin Pourer and Stopper looks just like that legendary oil lamp. This one will grant you three wishes: easily poured olive oil, a clever seal to keep it fresh, and a magical look that adds charm to your bottle. Made of flexible silicone, it fits the neck of most standard bottles. 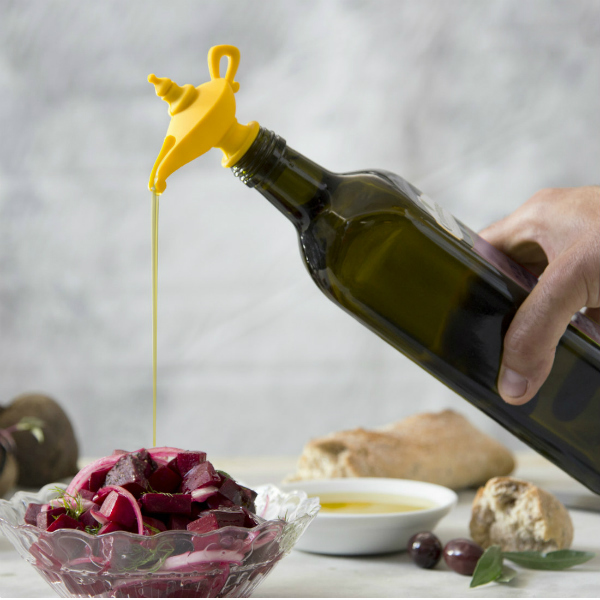 The fun factor of this bright yellow pourer and bottle stopper is also likely to encourage you to use more olive oil in your dishes; and encourage a healthier Mediterranean diet. So bring Oiladdin into your kitchen and onto your table to infuse your food with the passion and healthy eating style of the Mediterranean! Mocha has just launched a new glassware range – comprising of glasses and salad bowls – in a vibrant spectrum of colours. 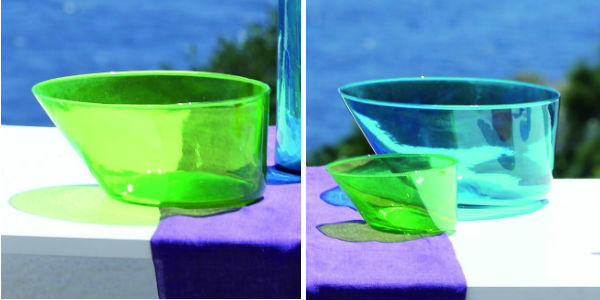 Made in Spain from recycled glass, they add a bit of Mediterranean light, lifestyle and colour into daily life. 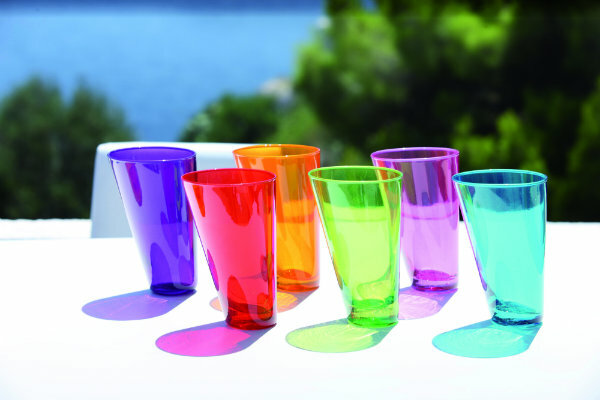 Koko Multi Colour Tumbers are a set of six drinking glasses with each one a different bright hue. The colours speak of the turquoise blue of the Mediterranean Sea, pink bougainvillea, lush greenery and breathtaking sunsets that turn the sky from orange, to red to purple. Koko Salad Bowl is a large serving bowl available in turquoise and green. It brings to mind the sea, sunshine, wholesome food and relaxed meals with friends and family. As well as using it for salads, this versatile bowl can be used to serve pasta, fruit salads or mousses. Or fill it with fruit to brighten up a boring worktop space or table.